If you're a subscriber to AT&T's pre-paid GoPhone service, we have some great news for you. Starting on June 21st, which is next Friday (and the longest day of the year by the way), GoPhone will offer the Samsung Galaxy Express which will bring 4G LTE connectivity to the service. On that day you can also start bringing your own 4G LTE handset to GoPhone. The Samsung Galaxy Express sports a 4.5 inch Super AMOLED Plus display, although the 480 x 800 resolution (WVGA) could be a little higher. The combination results in a pixel density of 207ppi. A dual-core 1.2GHz Qualcomm Snapdragon S4 Plus processor is driving the phone which has 1GB of RAM aboard and 8GB of native storage. The latter can be expanded using the 32GB capacity microSD slot, and there is a 2000mAh cell keeping the lights on. The device features a 5MP rear-facing camera capturing video in 1280 x 720 at 30fps. The 1.3MP front facing camera is great for taking"Selfies" and for video chat. Android 4.1 is installed giving users the silky smoothness of Project Butter, the timely information from Google Now and the step-saving actionable notifications. The device will be available online or from AT&T stores for $249.99. You can also find the device at GoPhone distributors. GoPhone's lowest cost plan is $25 for which you receive 250 minutes of talk, unlimited text and a whopping (dripping with sarcasm) 50MB of data if you pay an additional $5. The next tier is the $40 monthly plan that gives you 500 minutes of yak talk, unlimited text, and 200MB of data. Each additional 100MB of data will cost you $10 more. The $60 plan gives you unlimited talk and text, and 2GB of data for the month. Each additional 1GB of data will cost $10. All of the plans include international texts from the U.S. to Mexico, Canada and 100 other countries. ha!boost mobile $55 and shrinks down 40 all unlimited, try beat that at&t. Better devices, services, and doesn't Boost only use WiMax 4G? Boost only wins by price. @ hashtag boost and virgin now use sprints lte which is only available in a lil bit of places when u compare it to atts lte , att has triple the lte coverage and also att has 3G hspa as a backup when lte is not available which is waay faster than sprints 3G which boost and virgin also use. I had boost and virgin never ever going back there horrible data network spotty coverage .. my friend has sprint right now and sprints lte aint even that fast she only gets like 10 mbps while I get 30 on att and when she out of sprints lte she on sprint 3g she dnt even get 1 mbp while I get up to 10 on atts 3G . So i think att prepaid is a better deal u get acess to faster speeds ane better nationwide network. Oh my bad. I knew Boost uses 4G, but I guess I mistaken it as WiMax instead of LTE. I have Sprint right now, but 4G LTE isn't offered in my area, so you probably get the idea of what I'm dealing with right now with my "3G." AT&T beats Boost by giving you service everywhere you go. AT&T LTE has triple the coverage then Sprint's LTE. I rather pay $60 for 2GB of LTE data from AT&T then pay $55 or less for LTE (only in 88 cities) on Boost or Sprint. On Boost most people will be using Sprint's horrible 3G network because LTE is only in 88 cities. It you are willing to spend $60 just get a contract. Gophone is supposed to be prepaid ie for us mortal folks who can't afford that much monthly or don't need it. Pointless offering. @jimjam Really? where can you get a contract with unlimited voice, unlimited text, and 2G? certainly not AT&T, and forget Verizon. Unlimited voice with Verizon starts at $99. In fact, Verizon's prepaid does "not" include LTE. Sprint doesn't count, and T-Mobile is the worst. Jimjam. Where can you get 2GB of LTE data and unlimited text and voice on contract for $60. You need to do some research before you comment. Sorry I was thinking about all those like pageplus, virgin, boost, straight talk etc but they are monthly prepaid as well. Sorry, agree with JimJam. The little extra on cost for on contract with ATT covers the phone subsidy on newer phones. If you can pay the extra for LTE AND the $250 for a low end Galaxy phone, may as well get the higher end phone on contract. Sure you can save a few bucks, but if you need to save a few bucks, you can ssave much more with a lower end android WITHOUT the LTE. 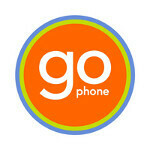 OR you can buy a better phone on Craigslist or Ebay for the $250 and bring your own phone to GoPhone. Galaxy S3 and the $60, much closer to being worth the price. So, you first went against the prepaid plan by saying it's not worth it, to finishing your argument by saying it's worth it. Sorry, but you are weird. And besides, I think most people will bring in their own 4G LTE device whether than buying the Samsung Express. thats dumb cuz u also forgot to mention that if for some reason the person who gets a contract cannot pay for it for whatever reason and wants to cancel the contract there is a HUGE cancellation fee were as in prepaid theres no cancellation fee. @AstronautJones That may be true. However, you can also bring your phone from a relative, ebay etc. @phonearena As of May 24th I was able to bring my own GSM Galaxy SIII to AT&T GoPhone and activate with LTE capabilities. It has been great so far! Only downside is that currently I am on the $65/month plan with only 1GB of LTE data...so this is great news! But for anyone interested, you can already bring your LTE device over to GoPhone now! Solavei gets u everything unlimited for $49 ($54 after taxes) and it can eventually drop to $0 a month... or even pay you!